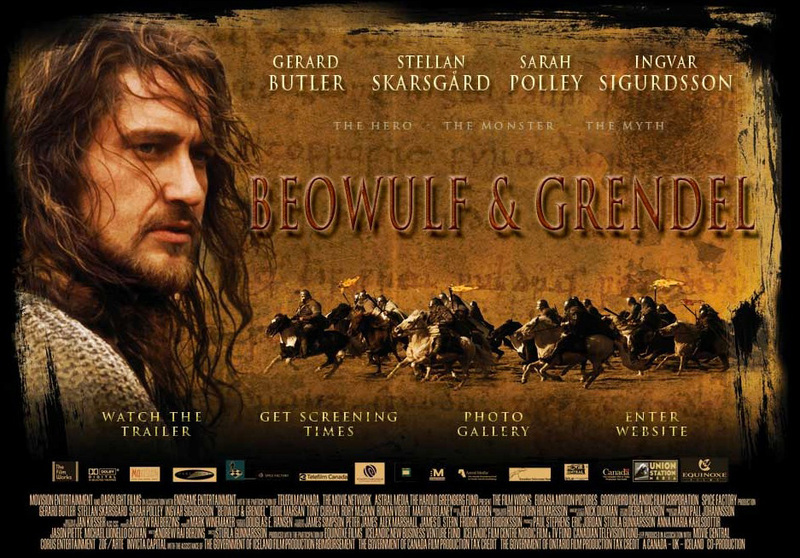 I have to admit, I have only watched one Beowulf film, that from 2005 [Beowulf and Grendel], well after I wrote the initial draft of Grendel’s Mother. I think I have deliberately avoided seeing cinematic versions because once I have seen one, I cannot unsee it. I teach Beowulf so often, that I want my own images in my head, not those someone in Hollywood has thought of. Nevertheless, many people love the movies and I rather like the grim atmosphere of the 2005 film. So, if you like to see films, here are some of the most famous ones! 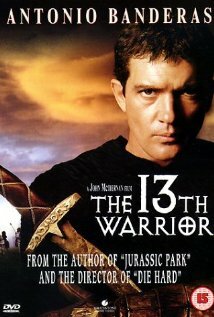 The 13th Warrior. 1999. Based on Michael Crichton’s book, Eaters of the Dead. Antonio Banderas plays Ahmed Ibn Fadlan. Read about the plot here. Beowulf. 1999. The Beowulf story with Christopher Lambert. “Christopher Lambert (Mortal Kombat, Highlander) stars in this futuristic update of the classic poem written in 900 AD and set in a world of supernatural evil and inexplicable danger! Torn from a legend whose roots are buried in the mists of time, Beowulf is half man – half god.” Watch it right now on Amazon Prime. Beowulf & Grendel. 2005. 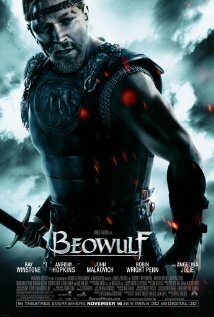 Starring Gerard Butler as Beowulf. Despite some deviations, it remains the most faithful to the original poem.